Large-scale software systems typically involve a large number of actors playing different roles, interacting with each other to achieve personal and common goals. As agent-based software technologies advance, systematic methods are needed to support the development of large-scale multi-agent systems. As with other kinds of software systems, successful system development relies on in-depth understanding of stakeholder needs and wants, and their effective translation into system requirements, and eventually into executable software. This paper presents a requirements engineering methodology based on agent concepts at the requirements modeling level. The strategic actor is used as the central organizing construct during requirements elicitation and analysis. In considering alternative arrangements of work processes and system interactions, strategic actors seek to exploit opportunities and avoid vulnerabilities. The methodology starts by building a lexicon as a preliminary step. The relevant actors are then identified. A breadth coverage step produces a first-cut model of the domain and the social relationships within it. The models are then developed depth-wise to capture organizational and individual goals and to explore alternatives. The methodology complements and extends the i* modelling framework. 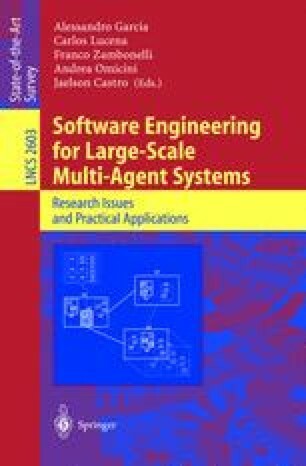 By taking into account agent characteristics such as autonomy, intentionality, and sociality starting from the requirements level, the methodology leads naturally into the development of large-scale systems that employ multi-agent software technologies. An example from the healthcare domain is used to illustrate the methodology.